Assam's history goes back to ancient times. The base of this past can be found in Tantric literature, Buddhist literature, Assamese folklore and Vedic literature. Assam was known as 'Kamarupa' or 'Pragjyotish' in the period of the Epics. Human inhabitation of this region dates backs to about 2000 BC. The population of Assam comprises of the migrants from Burma and China. They came into Assam after the mongoloid migration. They came from Punjab through Bihar and North Bengal. 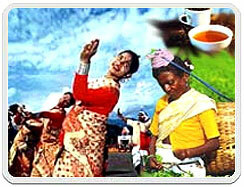 Thus Assam presents a fusion of Mongol-Aryan culture. The early history of Assam is believed to be of the Varman dynasty. 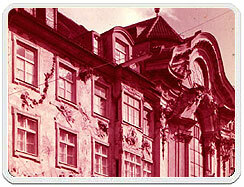 The reign of this dynasty extended from 400 AD to 13th century. The visit of Huien Tsang is said to have taken place during the 7th century at the time of Kumar Bhaskar Varman. The Ahoms ventured into Assam in about 1228 AD. By 15th century the kingdoms of Ahom and Koch were established. This period witnessed a change in all walks of life in Assam. In the later part of the 18th century the Ahom Kingdom was weakened due to inner strife. The Burmese ran over the political authority in Assam thus invoking British intervention to subdue the Burmese. After a conflict among the Burmese and the English, peace was restored by the treaty of Yandaboo in 1826. The British then set out to organize the administration, transport and communication. Besides the a variety of changes, the construction of railways; introduction of tea plantation, discovery of coal and oil etc. proved fruitful to the British during the World War II. After Independence of India, Assam witnessed several separation of territories. In 1948, NEFA (Arunachal Pradesh) was separated. In 1963 Nagaland was separated. In 1972 Meghalaya and in 1987 Mizoram. Historically conversation, the initial king who lined over Kamrupa was Pushya Varman (350-380 AD), who was a contemporary of Samudragupta (350-375 AD). He took on the title of Maharajadhiraj and ensured steps to establish Kamrupa as a frontier state. Mahendra Varman, a descendent of Pushya Varman, was the initial king of Kamrupa who waged a successful war against the Gupta army and also the first Varman king who performed the Ashwamedha Yagya. The rule of the Varman dynasty found apex in the rule of Bhaskar Varman (594-650 AD), because it is with the rule of Bhaskar Varman that a new epoch of Assam history opened. The earliest inhabitants of the region are assigned to the Middle Pleistocene period (781,000 to 126,000 years ago) in the Rongram valley of Garo Hills. The Paleolithic sites, which used handaxe-cleaver tools, have affinities to the Abbevillio-Acheulean culture. Other Paleolithic sites include those in the Daphabum area of Lohit district in Arunachal Pradesh which used stone tools from metamorphic rocks. The cave-based Paleolithic site at Khangkhui in Ukhrul, Manipur, is placed in the Late Pleistocene period. There exists proof of a microlithic culture in the Rongram Valley of Garo Hills that lie between the neolithic layers and virgin soil. The microliths here were made of dolerite, different those from the rest of India. Shreds of crude hand-made pottery specify that the microlithic people were hunters and food-gatherers. Early Neolithic cultures based on the unifacially flaked hand-axe in the Garo hills have developed in line with the Hoabinhian culture, and it is conjectured that this area was the contact point for the Indian and the Southeast Asian cultures. The Late neolithic cultures have affinities with the extend of the Mon Khmer speaking people from Malaysia and the Ayeyarwady valley and Late neolithic developments in South China. Since these cultures have been dated to 4500 BC-4000 BC, the Assam sites are dated to approximate that time. due possibly to the floods. These cultures performed shifting cultivation called jhum, which is still practiced by some communities in the region. Some typical sites are Daojali Hading in North Cachar hills, Sarutaru in Kamrup district and Selbagiri in the Garo Hills. There exists no archaeological evidence of Copper-Bronze or Iron age culture in the region. This might seem as impossibility given that corresponding cultures have been discovered in Bengal as well as Southeast Asia. It can only be conjectured that metal age sites in the region exist but have not yet been exposed. megalithic culture was the precursor of the richness cult and the saktism and the vajrayana Buddhism that followed. Prehistoric Assam is reconstructed from epics and literature from earlier times. The earliest political entity seems to be a non-Aryan Danava dynasty with Mahiranga mentioned as the first king. This dynasty was removed by Narakasura. Naraka appears to be a generic name for many kings belonging to the Naraka dynasty. According to legend, the last of the Naraka kings was killed by Krishna and his son Bhagadatta took the throne. Bhagadatta is said to have participated in the Mahabharata war with an army of "chinas, kiratas and dwellers of the eastern sea", thereby indicating that his kingdom, Pragjyotisha, included part of Bangladesh. 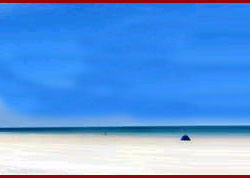 Assam comprises an area of 78,523 square kilometers (30,318 square miles). Except for the districts of Karbi Anglong and North Cachar Hills, Assam is generally composed of plains and river valleys. It can be divided into three principal geographical regions: the Brahmaputra Valley in the north; the Barak Plain in the south; and the Mikir and Cachar Hills that divide the two regions. The average temperature is moderate, about 84 degrees F (29 degress C) in the hottest month of August. The average valley temperature in January is 61 degrees F (16 degrees C). The currently prevalent standard Assamese dialect had its roots in Sibsagar located in eastern Assam, when it was made the official language of the state by the British in 1872. Moreover the American Baptist Missionaries used it for literary activities at the same time and gradually it was accepted by the entire Assamese community as the standard norm. However the shift of activity from Sibsagar to Guwahati in the early part of this century has also resulted in a change gradually to this dialect to arrive at its present form which will be referred to as the contemporary standard. For the sake of linguistic interest it may be noted that Guwahati was largely instrumental in reshaping it. Banikanta Kakati has divided the Assamese dialects into two major groups: Eastern Assamese and Western Assamese (Kakati, 1941). However recent studies have shown that there are four dialect groups namely 1) the eastern Assamese dialects spoken in the districts of Tinsukia, Dibrugarh, Lakhimpur, Dhemaji, Sibsagar, Jorhat, Golaghat and Sonitpur. 2) the central Assamese group of dialects spoken primarily in Nogaon and Morigoan districts and in some parts of Sonitpur and Jorhat districts also. 3) the Kamrupi group of dialects are spoken in the districts of Kamrup, Nalbari, Barpets, Darrang, Kokrajhar and Bongaigoan and 4) the Goalparia group of Assamese dialects spoken primarily in the Dhubri and Goalpara districts and in certain areas of Kokrajhar and Bongaigoan districts. (Moral, 1992). The echoes of the Bhakti Movement of 15th century which took over the whole of India were felt in Assam too under the supervision of the poet Shankara Deva. Until now religion had meant worshiping the Aryan gods, like the Mother Goddess for instance, who was more dreaded than loved. Priest craft, magic and morbid rituals like animal and human sacrifices dominated the scene. The Bhakti Movement brought a healthy change - with prayer, praise and simple worship. In Assam, Vishnu or his incarnation Krishna took the altar position as the God of Love and the Vaishnava Renaissance followed. Shankara Deva wrote a host devotional songs and translations from the Sanskrit canon. Rama Saraswati's lucid translation of the Mahabharata and Vadha Kavyas (stories from the Puranas) were also very popular. Everybody seemed to be doing the right thing at last making literature easier for the common people. The Ahoms of Burma who ruled Assam and gradually settled here wrote chronicles called Buranjis (1228 to 1824), a unique collection of prose. A mass of technical literature on astrology, medicine, mathematics, music, dancing and so on based on Sanskrit works was also written. In the modern period the political upheavals were felt in the literary scene too. Bengali tried to gain the upper hand for a while, until the Christian missionaries Nathan Brown and Miles Bronson helped resume writings in Assamese. The later half of the 19th century witnessed a flood of literary activities, the enthusiasm of which spilled over to the present century. Dictionaries like Hema Chandra Baruwa's Hema Kosha were written and magazines like Arunodaya Samvad Patra (1846) and Asam Bandhu (1885) were launched. A fresh style of prose based on the spoken language was the order of the day. Anandaram Dhekial Phukan (1829-96) and Gunabhiram Baruwa (1837-95) were the two big daddies of this age. Short poems and novels, dramas, lyrics and folk poetry pleased the literary circles. A generation of novelists and poets like Rajanikanta Bardalai (1867-1939), Hiteshwar Bezbarua (1871-1931), Chandra Kumar Agarwala (1867-1938), Padmanath Gohain Baruwa (1871-1946), Benudhar Raj Khowa (1872-1935) and their contemporary, Raghunath Chaudhari, wrote profusely in an age of nationalism and social reforms. Contemporary Assamese literature has a vibrant short-story genre. Some of the best writers are Phul Goswami, Indira Goswami, Harendra Kumar Bhuyan, Arupa Patangia Kalita and Manoj Kumar Goswami.